Step into your C6 Corvette in style. These inner door sills are a great looking way to upgrade the interior of any C6 Corvette. 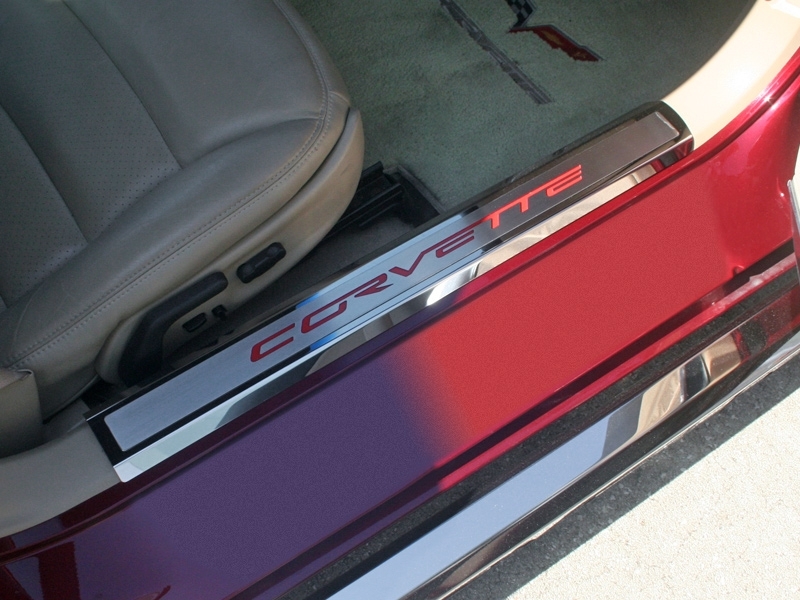 Made of T304 stainless steel, these door sill plates will protect your Corvette for years to come, all the while giving you some great looks. Dress up your Corvette with our Polished/Brushed - Stainless Steel, Inner Door sills with colored Carbon Fiber "CORVETTE" script inlay. These trim pieces are designed to fit all 2005-2012 Corvettes on the inner door sill and add a clean stylish look to your Corvette interior.